The new A5’s intuitive user interface and ergonomic design simplifies workflows. The 15" touch-screen enables clinicians to easily select ventilation settings, so less time is spent maneuvering and more time is devoted to patient care. The central brake and integrated cable sweeps enhance device mobility. The HL7 architecture provides the industry standard interface for anesthesia information management systems (AIS), and electronic medical records (EMR) . Connect the A5 through this open protocol and reduce the time and expense needed to integrate your medical data. 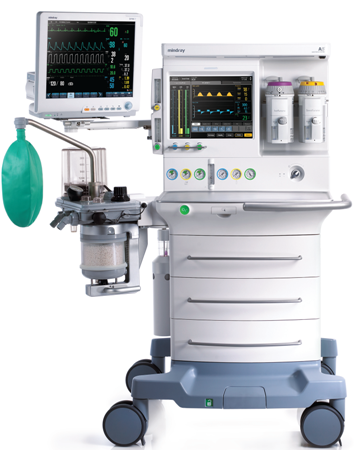 The A5 provides a range of advanced ventilation modes enabling effective care across a wide range of patient acuity types. Integrated spirometry offers the clinician additional respiratory information.